Storage needs are changing. The use of paper files and physical reference materials is decreasing, while the number of personal technologies used for work is increasing. 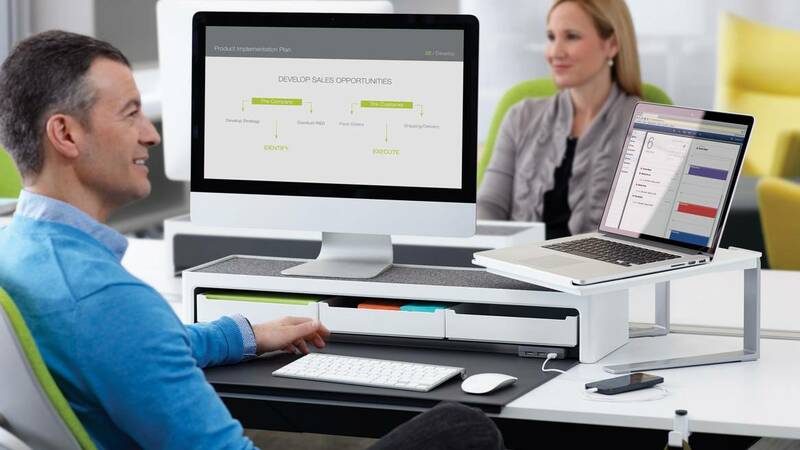 As part of the SOTO® line of worktools, SOTO Personal Console offers secure storage for bags, laptops, and other personal and professional items. 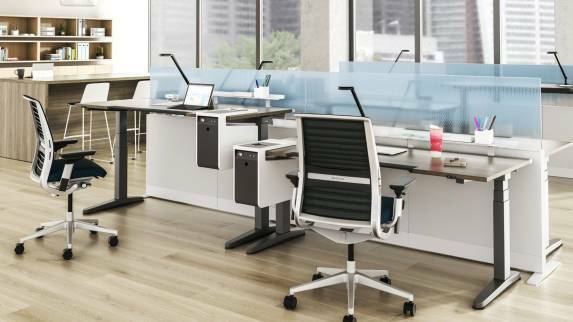 Mountable on fixed- and standing-height worksurfaces, it also features integrated charging options to keep small devices powered all day long.